Holy kebab-schnitzel on a cowboy hat dipped in crab-mustard! I'm actually flying home today... Can't quite believe it, I'm going I get to unpack my bag and sleep in my own bed. The last few days have dragged on excruciatingly slowly, a bit like Christmas. Well, quite a lot like Christmas, an unshaven wierd guy who no one quite knows who he is, and hasn't been seen for just long enough for everyone to wonder if he really did exists, comes with a big sack on his back and starts emptying it in the living room while the stench of beer lies heavy on his breath and eventually gets thrown out again when the political comments go from "unseemly" to "racist" via "anti-Semitic"... Or was that just my Christmas being a bit odd? The main exception this time being that I am the bearded dude (ok, my facial hair growth is still barely the equivalent of a 12 year old Arab boy, but more beard than usually at least... Btw, what was it I said about racist remarks earlier?). So just the freedom you have when you are back home, with free access to the Internet and unlimited texting is going to be euphoric, at first in any case. Speaking swedish full time is going to feel strange though. I haven't really said a single word of Swedish out loud since leaving San Diego. English is a lot closer to heart right now. I have one important post to add when I get home, and that is a summary of tips and links and schtuff like that for future reference. I think that's it, I'm going to have a lot of spare time when I land in Stockholm, so there's probably going to be another post from there and then the mandatory summary. Stay tuned to see if I manage to f*** something up until then! P.S. 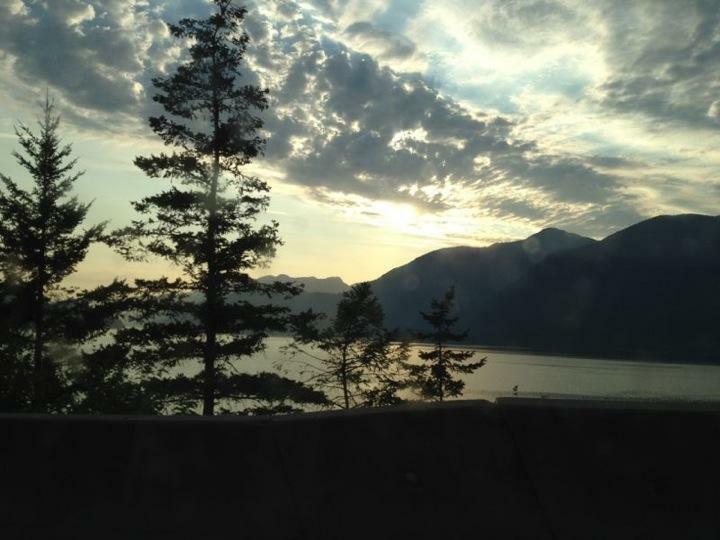 the picture is from a Chinese guy I met who went to Vancouver afterwards. Looks gorgeous, doesn't it? Have to go there as well.